Looking for a time-tested project management tool? The Gantt Chart (originally crafted by Henry Gantt) dates back to the early 1900s. The simplistically genius chart allows you to visually demonstrate project length and progress in one place. It’s lasted the test of time, as well as multiple layers of technology. 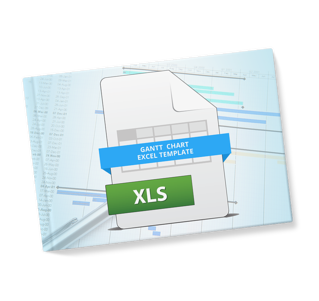 Today, we offer it to you in Excel form (although it’s built into software these days, too). Instructions and directions for how to use the template. Initiatives and supporting milestones with start and end dates. A populating graph of progress toward your goal for each milestone. Fill in the form to take this ready-to-go Gantt Chart template.